“I say this with no hint of irony: I’ve come to realize that the world doesn’t revolve around me. When I wrote my previous record, I was a bachelor dude, living on my own, and doing what I wanted.” Burton says, speaking in advance of his show at Moncton’s Plan b Lounge on Sunday evening. While the good vibes aren’t overtly obvious on Songs Of, there is little denying Burton’s songwriting prowess. 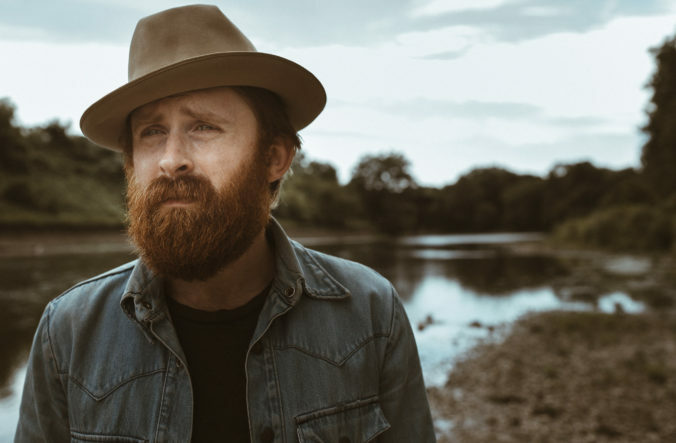 Accompanied by the backing band of American singer-songwriter Margo Price, Burton’s music walks a gloriously blurry line between country and folk, allowing his knack for telling stories to take centre stage throughout the record. In some respects, Burton’s contentment with place in the world today couldn’t be farther from his punk roots. Or maybe it’s just that he’s more openly embracing them. Burton first rose to national prominence as a part of Attack In Black, a punk band that, by the time they released their swansong in 2009, had evolved into an indie rock group tinged with folk sensibilities. While he jokes that getting older could also be factoring in to his having embraced folk music so enthusiastically, Burton believes it was somewhat inevitable that his influences would end up on his sleeve. Earlier this summer, Burton had the opportunity to perform at the massive Cavendish Beach Music Festival in Prince Edward Island. Although he refutes the notion that he’s a country singer – “I wear a big hat, that’s about as country as I get,” he says – having the chance to get in front of a sea of new faces on the festival’s emerging artists stage is all a part of the bigger plan at this point in the game. Despite the fact his music couldn’t be farther removed from the new country music movement, Burton says that for the most part, fans are always willing to listen. When: Sunday Sept. 3, 9 p.m.